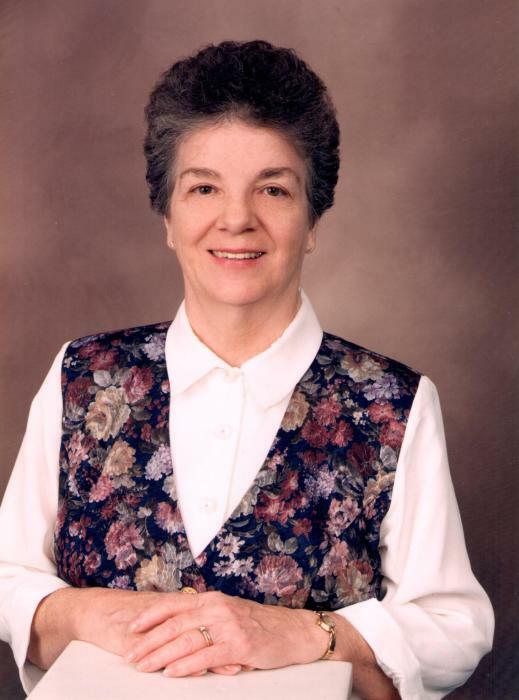 Obituary for Helen Leona (Leasure) Keslar | Graft-Jacquillard Funeral & Cremation Services, Inc.
Helen Leona (Leasure) Keslar, 83 of Scottdale passed away, Thursday, November 15, 2018 at her home. She was born April 17, 1935 in Scottdale a daughter of the late Ralph and Maude (Miller) Leasure. Helen was a loving homemaker caring for her family. She enjoyed baking, quilting and flowers. She was also an avid reader and enjoyed genealogy research which she did with her husband, Harry. Helen was a graduate of East Huntingdon High School Class of 1953. She is survived by her loving husband of 65 years, Harry T. Keslar who was also her caregiver; her children, Edith Spinneweber (Roger); Cheryl Hiltabidel (Dennis); Elizabeth Espey and Harry T. Keslar, Jr (Holly); five grandchildren, Eric Spinneweber (Linda), Lisa Trayter (Joe); Leslie Kourpas; Sarah Espey and Joseph Espey III; six great grandchildren, Paul, John, Christopher, Ellie, Emma and Eva and many nieces, nephews and cousins. In addition to her parents, she was preceded in death by five sisters, Dorothy Stants, Ruth Leasure, Jesse Hauger, Marjorie Dillon and Mary Florence Miller and two brothers, Ralph and J.R. Leasure.